Vodka Consists of Water and Alcohol and ranges in Alcohol Content from 35% to 70%. Vodka is usually distilled from fermented grain or other raw materials. Flavoured vodka will start with a base of standard Vodka then the flavouring would be added at the Distillery. Flavours of Vodka include lime, lemon and lime, grapefruit, raspberry, coconut, Melon, Mint, cinnamon, chocolate, coffee, toffee, Kiwi, Cherry and many more.. The following is a selection of the Worlds best selling Flavoured Vodka many more can be purchased from the drink shop and will be added here in the future. O2 is a special blend of Malted Barley and Wheat, this is distilled 3 times in traditional Copper Pots, filtered for Purity and mixed with Spring Water for a Delicious Taste. It took 2 years to develop the Worlds First Sparkling Vodka, why not be along the first to participate this new exciting drinking experience! Apeach is the latest vodka to be made by Absolut. Apeach has a full bodied peach taste but is not high in sugar content. Absolut Vodka has been around since 1879, it is a product of Sweden. It is great either neat or on the rocks or to be added to Cocktails. Another top selling Vodka from the Absolut family of Vodka. Absolut Kurant is mixed with blackcurrants. It tastes very fruity with an intense blackcurrant flavour. Absolut Vodka is available in 125 Countries Worldwide and is the 3rd biggest international premium spirit! Absolut Peppar - Explosive Taste! For a whole different experience try Absolut Peppar. It is a blend of roasted peppers, green tomatoes and dried herbs to create an unforgettable and almost explosive flavour. Great for mixing or for a shot that you will never forget! Vodka Shotz are vodka flavoured liqueur. They come in 4 exciting flavours which include orange & chilli, Cherry Lips, Chocolate MInt and Passion Fruit & Orange. They are produced in the UK by Obsidian and would make a great addition to any party! This Smirnoff Vodka is distilled with Nordic Berries which gives it the pale blue colour. Smirnoff Nordic Berries is produced in Russia. This Smirnoff Vodka is fairly hard to find in the UK. Vodka 666 - Vodka for the Devil in you! 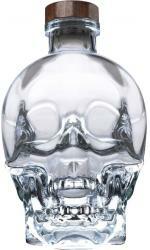 Vodka 666 was first produced on the 06/06/06 and at 66% is the Worlds most Wicked Vodka! It is produced in Poland and has a hint of Cherry. Vodka 666 can be drunk straight or tastes great mixed with Energy Drinks , Lemonade, Tonic Water or Coke. Grey Goose is made in the Anjou region of France using the Worlds Finest Vodka. Anjou Pear is famous for its clean sweet and mellow flavours. Grey Goose Pear Vodka can be described as both Sophisticated and Unique and is perfect for using in Cocktails. Faust Cranberry Vodka is made with the freshest Cranberries and is extremely clean and smooth on the Palate. It tastes fruity with the artificial sweetness sometimes found in other Vodkas. Faust Cranberry is produced in Poland. Effen is made with no Artificial Colours or Sweeteners and is the Worlds first Vodka to be made with Black Cherry and Vanilla. The word 'Effen' is Dutch Slang for the word Smooth and this Vodka has a Smooth and Clean taste. Produced in Holland. This Vodka is made by re-distilling Blackwoods Original Vodka over a tray of Cucumbers. The taste is crisp with a clean finish. Blackwood's Vodka is produced in Scotland and is the Winner of 4 Awards. The Cucumber Vodka is perfect for using in Cocktails. Todka is an extremely Smooth Toffee flavoured Vodka. Todka is produced in Newquay, England using a secret recipe but was originally discovered in The Alps. Todka is a must for Parties, can be used over ice, as a shooter, in cocktails or over Ice Cream. Van Gogh Dutch Chocolate Vodka is made from the finest quality Cocoa Beans in the World and is a delicious treat. Can be drunk straight or mixed with other Van Gogh flavoured Vodkas. The Honey in this Vodka is taken from beehives which are put in Manuka trees in New Zealand. Honey from these trees is much darker than normal honey, it has an oaky and caramel flavour. The Vodka is made by infusing it with the honey essence. Perfect over ice. The purest of Passion Fruit is infused with the purest award winning 42 below Vodka to create this drink. The Passion Fruit is distilled from its pulp and the added to the Vodka, there is no added sugar or artificial ingredients. Perfect long, tall or in cocktails. 42 Below Kiwi Fruit Vodka may well be one of the nicest tasting Flavoured Vodkas. It has an excellent aroma of Kiwi Fruit and tastes extremely clean and smooth. We simply cannot recommend this Vodka enough! 42 Below Feijoa is another delicious Flavoured Vodka. They do not add juice or Synthesize the Feijoa flavour, they actually collect the fruit itself, heat it up and when it turns to liquid infuse that into the Vodka. The result is a sweet, fresh Citrus tasting Vodka. Excellent! Pinky is the Worlds first Rose Vodka, produced in Sweden. Pinky is made by hand by the Worlds Best Wine Tasters. Its ingredients include Rose Petals, Violets and Wild Strawberries. Pinky is to Vodka what Pink Champagne is to Champagne. Absolut Raspberry is made with Natural Raspberries blended with Vodka. The Vodka is distilled from grain frown in Southern Sweden. Absolut Vodka has been around since 1879 and is great either neat or on the rocks or to be added to Cocktails. Finlandia Lime Fusion is a blend of Finlandia Vodka and fresh Lime fruits. The flavour is created with essential oils of Lime and natural Lime aromas. It has a refreshing Citrus taste and contains no Sugar. Is great drunk either neat or on the rocks. Polmos Jozefow is a Cherry Vodka and is produced in Poland. The Colour is Cherry Red and is made from Premium Spirits with many varieties of Cherries. This Vodka is best drunk either straight for sipping or with Lemonade, can also be used as a Mixer. Stolichnaya is a natural Vanilla Flavoured Russian Vodka. It is distilled with Wheat and Glacial Water which is then added to extracts of Madagascan and Indonesian Vanilla Beans giving it a delicious taste. Can be drunk on its own or with Ice or as a mixer.